Arguably, the most important shoes that you’ll ever wear are the ones you wear for work. After all, you’ll be wearing these shoes all day and everyday. Therefore, it’s important to make sure that you’re happy with them! Want to learn about a specific pair? Just click on the link above to jump right to it! You can also learn about the shoe needs of different professions to keep in mind. 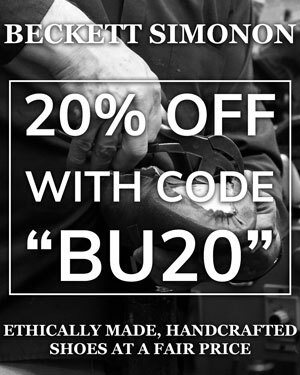 If you’re in a hurry and just want to buy some quality shoes, you can use our Quick Buy Guide below. Nevertheless, if time is on your hands, just scroll down to read more about each pair. What Are The Best Men’s Shoes For Work? The ultimate office shoe for the busy professional, Wolf & Shepherd claim to have made the most comfortable shoes ever. Whether you’re standing during presentations or running between meetings, their protective cushions are perfect for your versatile needs. With their slick, classic Oxford design, these shoes are perfect for both office and formal wear. If you’re hosting events, serving tables or even wearing a classic business professional suit, they’ll blend right in without sacrificing comfort. 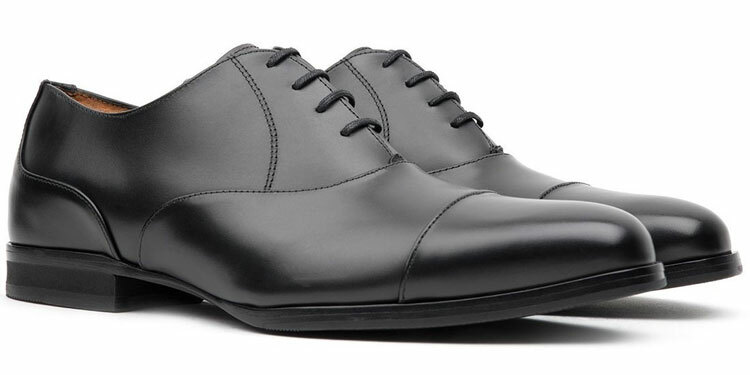 We recommend the black colour if you’re looking for some classic and professional Oxfords. However, if you want something a little more casual, you can choose from either a mid-brown “maple” or tan “honey, which are very stylish. If you work on sites or follow a more manual profession, you need solid and reliable boots. Wolverine’s Legends are ASTM standard and offer a Carbonmax safety toe, waterproofing, electrical hazard proofing as well as shock-absorbant soles. If you’re in this line of work, the chances are that you don’t have much choice in choosing what you wear. It could require hard hats and reflective clothing. However, you can always add a touch of style with some fashionable workwear! Also available in dark brown and a slightly tactical-style black, we’re particularly fond of the two-tone brown tan boots. 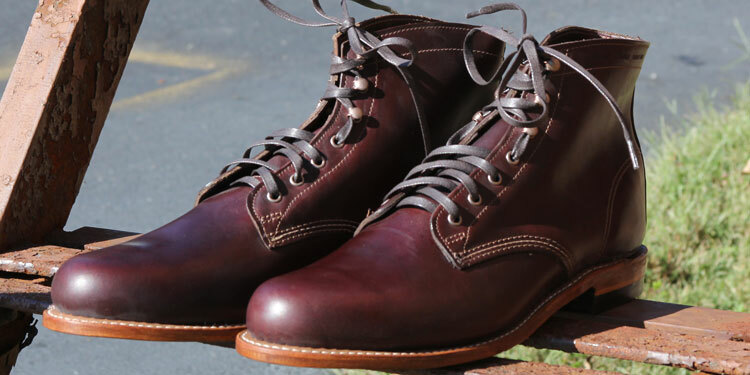 Whatever you choose, these are the most stylish work boots we’ve yet to see. When working in a security profession, you’re obliged to wear tactical boots. Whilst some can be quite cumbersome and uncomfortable, there are many modern choices available today. We love these 8-inch boots from Timberland and they’re the best we’ve seen with a composite safety toe and pathogen-resistant membrane. Although designed for patrol, the fact that they’re quite slick makes them suitable for parade wear too. Whilst some parades will have strict dress codes, these will offer superior comfort when standing or marching for hours. Unsurprisingly, the Timberland Pro Valors are only available in black. However, when looking for tactical or combat boots, this is usually the only colour that you’ll need! Excellent for when on the move, Wolf & Shepherd’s Breakaway boot features an EVA heel for shock absorption as well as a memory foam footbed for extreme comfort. Meanwhile, they’re much lighter than regular boots thanks to their construction, which helps reduce overall fatigue. These are quite versatile and will suit most office requirements. the balmoral cap toe renders them quite formal while the choice of colour can help hone the intended dress code. They’re great with a suit but look fine in jeans too! For a formal business professional look, the Onyx black calfskin is a solid choice. However, the reddish cognac is much more versatile. Meanwhile, the tan makes for an overall casual look. Some professional environments may allow or even require boots. Whether you walk a lot on uneven terrain or enjoy the extra ankle support even in the office, the aptly-named 1000-mile range from Wolverine is a solid choice. Being incredibly versatile, these boots can be worn across a great number of dress codes. Whether you’re in a casual, utilitarian professional environment or even a relaxed business office, they look fantastic if you dress accordingly. Those who require more formal boots can opt for the black leather. However, we absolutely love the Cordovan No. 8 as they’re a versatile hue as well as absolutely stunning! Incredibly stylish with a unique three-tone colouring between the Dainite soles, welt and leather, Allen Edmonds’ Strandmoks are the finest brogues we have yet to try. Better suited to less formal working environments, the Strandmoks are still very versatile when it comes to wardrobe. You can either wear them casually with jeans or with chinos and a sport jacket if you’re business casual. However, they also look beautiful with a full tweed suit. These particular brogues are only available in brown. However, that doesn’t stop them being stunning. As mentioned above, there are three colour tones: a rust red Dainite sole, a tan welt and the vintage-style brown full-grain leather. Sometimes you feel more relaxed at the office by wearing some comfortable slip-on loafers. The Allen Edmonds Addison penny loafers are perfect for this. They also feature the classic Dainite soles for extra traction and support. 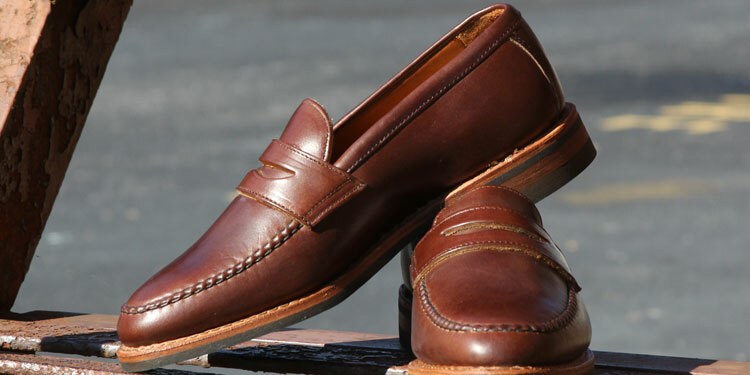 Loafers are much more casual than lace-up shoes so these may not be suitable for more formal working environments. However, there may be more relaxed summer dress codes so you could wear these with a beige suit, which is perfect for warm, sunny days. Although there are black loafers available, they’re a bit too dressy given the style of the shoe. We recommend either the tan or burgundy leathers that would be ideal for business casual wear. Some professions require a lot of walking, standing and even running. For instance, postal workers and warehouse handlers can walk for miles in a single day. Therefore, you’ll need more relaxed and comfortable footwear that offer support and cushion. The Nimbus 20 sneakers from ASICS feature a unique gel cushion as well as a Flytefoam midsole, which prevent your feet from getting worn and tired after a long day. Unless you’re obliged to wear a uniform, remember to dress appropriately for all that walking! For more reserved working environments, the black pair can fit in just fine. However, if you have the freedom to opt for a more colourful shoes, you can choose from a varieties of hues including the Sulphur Yellow and Island Blue, which we really like. If you suffer from tired and sore feet after a long day at the office, you may need something that offers superior support and cushion. Although most orthotic shoes are designed for foot disorders, they can also be worn as a preventative measure. Unlike many orthotic shoes, the SAS Ambassadors are both versatile and quite stylish. Most alternatives are actually quite unsightly. However, these look great whether you decide to wear them in either a business casual or business professional setting. Whilst black is a dressier choice, the fact that these are open-laced Derbies makes brown a more traditional colour. Therefore, we’d recommend the brown. However, you can opt for black if you need something more formal. Either way, there are full-grain leather and suede options available for both. Like the SAS Ambassador above, the Propét Graham monkstraps are orthotic shoes. However, they’re a lot subtler than the entry above whilst providing just as much support with a removable footbed and open-cell PU foam insole. Monkstraps are traditionally more business casual than lace-up shoes. However, they’re trending as a popular choice in offices. Therefore, feel free to pair these in either business professional or business casual working environments. If you needs are quite formal, you can opt for the black full-grain leather. However, we’re fond of the brown leather, which will be much more versatile to wear with business casual attire. As we’ve highlighted several times in this guide, it’s important to appropriately dress for your profession. 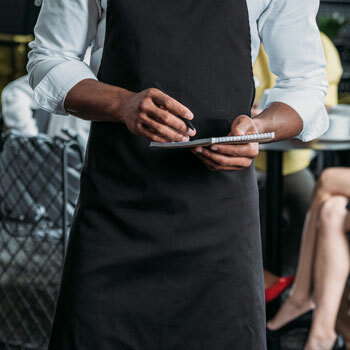 Whether you’re waiting tables, performing surgery, walking the streets or sitting in an office chair all day, the type of shoes that you wear will have a profound impact on how well you perform on the job. In this section of our guide to the best work shoes for men, we’ll take a look at the various considerations to keep in mind. First and foremost, it’s important to keep in mind the company or establishment’s dress code. By narrowing this down, you’ll know what options are available to you. For instance, if your professional environment expects a strictly professional dress code, it’ll be hard to justify swanning in with a pair of Nike Airs. Meanwhile, you don’t have to force yourself to wear full-grain leather Oxford shoes when installing electrical installations. 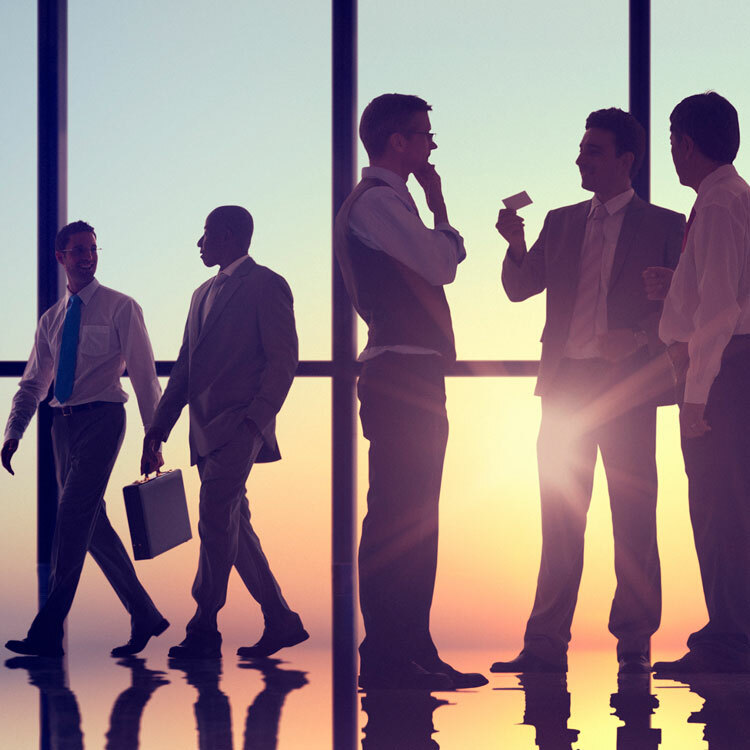 Whilst some formal working environments have strict dress codes and uniforms, it may not be as clear cut for others. Nevertheless, you can avoid the trail-and-error by using our detailed dress code guides. That said, some uniformed jobs may give you some freedom in terms of footwear. However, this is often in relation to the activities and duties you will have to perform. Once you have successfully identified the required dress code, you can determine the amount of freedom you have in choosing your footwear. 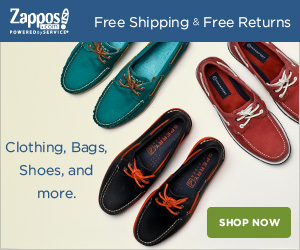 This will then help you to narrow down the types and styles of shoes available to you. After having consulted the required dress code, it’s then important to consider your activities. If you wear something that doesn’t correspond to your daily tasks, you’ll not only perform badly but potentially put your health at risk. Aside from ensuring that you wear shoes that fit you properly, consider things like cushion, support and comfort. Even if you’re sitting behind a desk all day, you’ll want shoes that feel comfortable for your feet. There’s nothing worse than writing up a report while internally screaming to be able to kick your shoes off. As you won’t be walking much, it’s better to go for light and flexible shoes that don’t offer much in the way of stability. That said, desk jobs may require strict dress codes. Therefore, you’ll likely have to wear business professional shoes. Nevertheless, there are several options in the list above that fit perfectly into this dress code. However, if the office is somewhat more relaxed, you could opt for something a little bit more casual. For instance, some lightweight and flexible penny loafers offer plenty of comfort when sat at a desk. As they’re lightweight, it won’t feel like you have two breeze blocks on your feet. Meanwhile, for colder months, the Strandmok brogues by Allen Edmonds aren’t very constricting and provide some flexibility to your feet. Most jobs don’t give you the luxury of sitting behind a comfy desk all day. Instead, you may be walking long distances, lugging stock or items from one place to another. Alternatively, you may work for the Postal service or have a similar profession, which asks you to walk for miles. If your profession doesn’t have a demanding dress code, opt for the most possible shoes that you can get. As much as we’re conscious about style, your health comes first. Your best options are likely sneakers such as those made by ASICS. What we love the most about these shoes is how they a gel cushion, which is a favourite of runners with foot injuries. These will undoubtedly provide you all the protection you need. However, even if you have an office job, you may be standing and walking as much as someone with an entirely different profession. As such, you need suitable footwear to account for this. Of course, cozy sneakers would be ideal. However, if the dress code doesn’t allow it, there are a number of formal options that offer just as much protection. 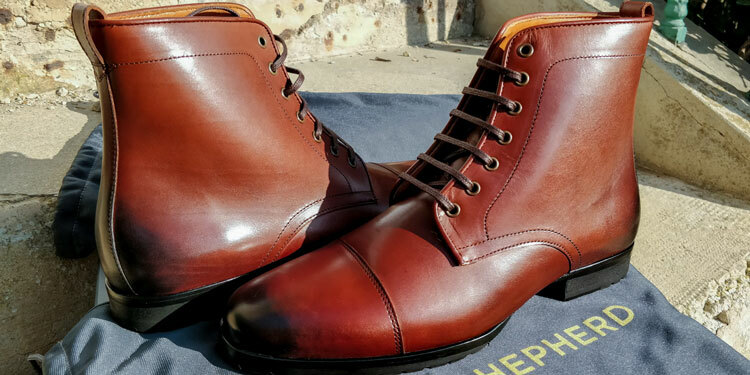 Whilst full grain leather shoes are infamous for being cramped and uncomfortable, there have been many advances in shoe construction focusing on comfort. 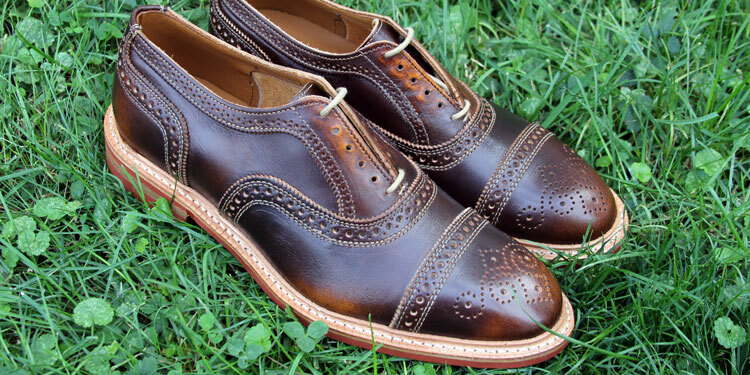 For instance, Wolf & Shepherd have dedicated themselves to making traditional dress shoes that cater to modern needs. From a memory foam footbed and carbon-fibre arch support to a high-density EVA foam heel, their construction is much like sneakers! Furthermore, your feet may have taken a lot of punishment and feel extremely tired and sore after a long day. Therefore, you may want to consider even more protection. Orthotic shoes have a come along way since their very clinical and garish predecessors. Today, some, such as the Propét Graham Monkstraps, provide just as much comfort and protection as previous models but are more inconspicuous. For some professions, regular footwear just won’t cut it. Usually, this is because there are more risks involved so wearers will need superior protection. Whether it’s because you’re working in conditions that simply require more ankle support or specific dangers that you may face, you’ll need the right footwear. In either case, sneakers are usually too flexible and lightweight to provide sufficient protection. Sometimes they may offer the bare minimum but usually you’ll need things like flame resistance or electrical proofing. We tried a great number of work boots but also consulted with experts to learn that the Wolverine Legends are the best on the market. Whether your trade is electrical, surfacing or plumbing, they’ll provide you everything you need to make it comfortably through the day. However, those who risk their lives on a daily basis in either the emergency services or military will need something that offers even more. As they face different hazards, regularly work boots won’t suffice. Like work boots, they should feature the same basic protection for piercing, flame, corrosion and electricity. Yet they may also need ballistic uppers to prevent injury as well as membranes that resist pathogens. Finally, one of the most important and useful features of modern tactical boots are zippers down the side. Should you ever break your ankle or injure yourself when performing your duties, the boots can be carefully removed without aggravating it. We’ve tried many pairs from the brand Magnum who have offered quality tactical boots for decades. However, we were blown away by the quality and features as well as the comfort and support provided by Timberland’s Valor Pros. Reviewed by Ron C., on 30th November . "Perfect for my needs. I found the ideal shoes that were comfortable and appropriate for the office."